Pure plant essential oils have been revered for centuries for their restorative properties to body, mind and spirit. Essential oils are now re-emerging as a key solution to the challenges facing our modern lifestyles. Essential oils are now re-emerging as a key solution to the challenges facing our modern lifestyles. 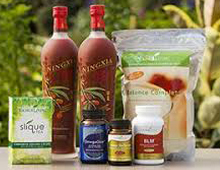 Young Living is dedicated to uniting this ancient wisdom with modern science to produce ground breaking new products. Visit my Young Living Online Store to view and purchase products. Click on the Join link from the main menu to register as a Retail Customer in order to make a purchase. Primarily extracted through careful steam distillation, but also through cold pressing, the purest essential oils are far more powerful and effective than dry herbs, delivering quick and effective results. Every time that you hold a bottle of our powerful essential oils, you are holding the pure essence of botanicals that can be diffused, inhaled, applied topically and incorporated into massage. Prepare to radiate beauty within and without as you discover natural products that reveal the glow that you were born with. 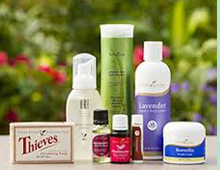 Free from harmful chemicals found in many mainstream skin and hair products, Young Living's beauty products contain all natural-ingredients infused with essential oils. These precious oils are a centuries-old beauty secret that can refine your complexion. There is magic in planting a seed and watching it grow. Just as the seeds of our essential oils are carefully sown, the wholesome ingredients in our wellness products have been cultivated for total body health. To put the power of complete wellness into your hands, we have carefully crafted a line of essential oils, all-natural vitamins and product solutions designed to help you live a balanced, healthy life. 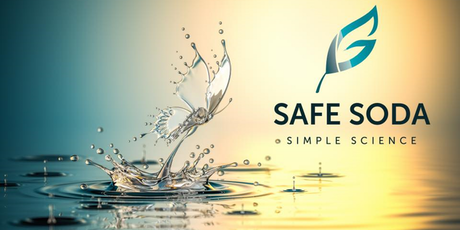 Safe Soda offers a safe and natural way to help neutralise acid, alkalise the body and stabilise and raise pH. Maintaining correct body pH may help correct many health disorders. Contact Barb to find out more about the value of Safe Soda and how to purchase Safe Soda products .